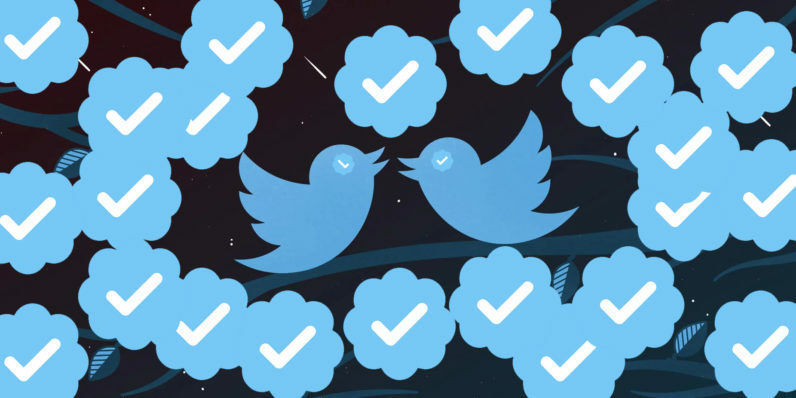 When Twitter decided to make account verification a simpler process, many rejoiced at the opportunity to be branded. Some accounts were obviously lacking verification, while some just covet it. And now that it’s here, verification feels like desperation. So let’s be really clear on something: verification means nothing. It doesn’t get you anything, and it doesn’t profoundly change your Twitter experience. The ‘verified’ badge simply means that whoever is verifying Twitter accounts at the company feels confident that you’re you and not some bot or imposter. Do you have an email and maybe a website? Cool, you’re you. That’s tricky to answer, and highly subjective. But the short, snide answer is this: not everyone, and probably not you — and maybe not even me. Verification is a tool that should be used to filter real people, companies and services from imposters — and to my mind, only those that are at risk of being (or have already been) mimicked on Twitter should get it. Because it’s entirely possible that some confused soul would ping one of many troll accounts rather than the real person or company. In typing ‘@‘ followed by some text, the verified badge should help filter those results. Case in point: verification itself. Or himself. The ‘@verified’ handle is Twitter’s own for verified users, but ‘@verification’ is some dude with one tweet from 114 days ago. A new user curious about how to get verified may be totally lost without the badge @verified gave itself. Data suggests Twitter is verifying users at a much more rapid clip, but we don’t learn which — or what kind — of users are being verified. Some were entities that should have been verified all along. My favorite example was Android Central; there was no way that account wasn’t Android Central, yet there was no verification for it until this open process. I’m happy for AC (They’re all really good people, go follow it if you’re not already), but where was the proactivity from Twitter to verify them long ago? Why wasn’t that account verified once it established a strong following? This open verification enrollment scheme is starting to feel like desperation on Twitter’s part. Like when Google+ handed out vanity URLs. Verification feels desperate, and there’s no good look for Twitter in all of this. If they’re trying to curry favor with average users, the patina of having a badge wears off quickly. It changes very little about your experience, save for the random celebrity response because their PR person filters out unverified users. And if Twitter is trying to win brands over, they’ve got other battles to concern themselves with. Sites like ours are far more concerned with how people find us than being one of the cool kids on Twitter. Twitter does a good job of referring site traffic, but Facebook almost always does far better. Verification can’t help that. And verification doesn’t bring more users because it’s meant for existing users. If you listen to the pundits, Twitter needs more users, not happier mainstays. Twitter also needs to get a handle on abuse, and verification doesn’t solve that either. As someone who’s been trolled on social media, I can tell you that it’s not fun, or funny. A verified badge at least helps people I do business with know I’m the real me. But so does email, or simply checking The Next Web to see which social account I’ve got listed in my articles. Verifying brands is more useful, but ultimately not necessary either. A simple peek into a brand’s tweet history should prove to you it is the right company. Verified users may like Twitter a bit more, and use it more often as a result of feeling special, but that’s probably short lived if they can’t find other value in the service. The only ‘win’ for verified users is that they get a surge of new followers, but how many followers you have is also a vanity statistic. Twitter’s new video initiatives are impressive, and I really like Moments, but it’s not yet clear how powerful those features are across the board. Verification sparked a lot of interest for Twitter, though. The company is set to announce its Q2 2016 earnings on July 26, too; just in time to talk about overall user numbers as well as daily and monthly active users. Maybe if Twitter verifies @verification he’ll tweet more than once every 114 days.